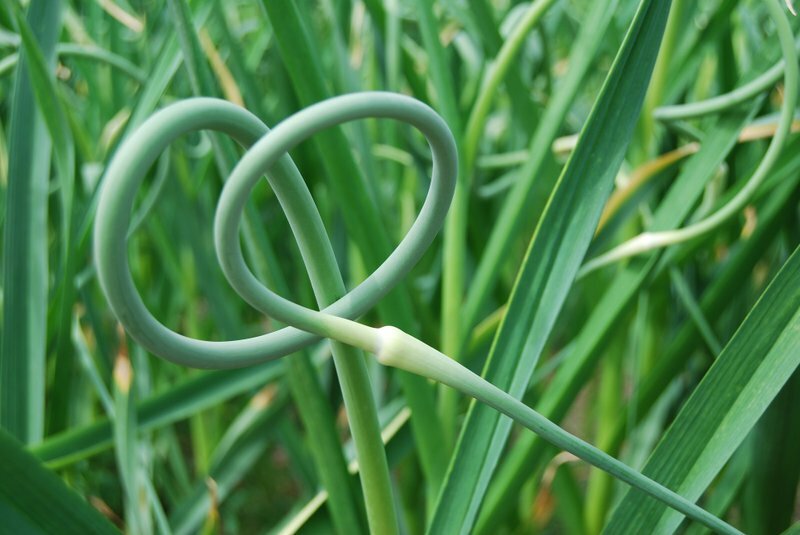 As the subject line of this email suggests it's that time of year when we harvest garlic scapes, the immature flowers of the garlic plant. Cutting the scape before it flowers forces more production into the ground which results in bigger garlic bulbs. But the scapes are also a wonderful cooking ingredient. [Recipes below] It is used much like a green onion, chopped up and added to stir fry or sauteed with other vegetables (kohlrabi anyone?) 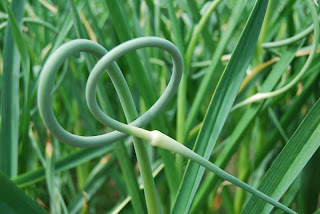 Garlic scapes are more mild than straight garlic. One of my favorite ways to use them is put them in the food processor, added Parmesan cheese, olive oil and walnuts and out pops excellent pesto. It also freezes well. It's a short season so look for them at the market over the next few weeks. I'll see you at the pick up location this afternoon from 4 until 6. The weeds are coming on strong. They like the alternating rain and shine and are threatening to take over a few spots in the field. Luckily more help is on the way. Last week David and I built the second of three chicken tractors (movable pens). He'll be putting together 3 later this week in anticipation of more chickens coming next week. Last Friday was the first of three visits by Sandra Smith's AP English class from Concord High School. We got some harvesting and some weeding done. We also set out about 200 tomatoes, peppers and eggplants. Thanks for all your help. The list to do is long this week so on to the recipes. Put the scapes, 1/3 cup of the cheese, nuts and half the olive oil in the bowl of a food processor (or use a blender or a mortar and pestle). Whir to chop and blend all the ingredients and then add the remainder of the oil and, if you want, more cheese. If you like the texture, stop; if you'd like it a little thinner, add some more oil. Season with salt. Freezes really well. Caution! Addictive. Rinse collards well. Stack leaves, 3 at a time, and tightly roll lengthwise into a cigar shape. Slice crosswise into 1/2-inch strips; discard stems and center ribs as desired. Set chopped collards aside. Combine butter and olive oil in a sauté pan and melt over medium heat. Add scapes and sauté briefly, about thirty seconds. Add collard greens; sauté, turning frequently, about 5 minutes or until crisp-tender. Add lemon juice and cook 1 more minute. Remove from heat, salt to taste and serve immediately. Melt butter with oil in large nonstick skillet over medium heat. Add shallots and sauté until golden, about 5 minutes. Add peas and radishes; sauté until crisp-tender, about 5 minutes. Add orange juice and garlic scapes; stir 2 minutes. Season with salt and pepper. Transfer to bowl; serve. I'm not sending this update out early because I'm over achieving. I'm sending it out early because it includes a call for help this week. There are a few crucial tasks that really need to happen this week in addition to the weekly harvest. None of it includes back-breaking labor, it would just be helpful to have more hands in the field this week. If you're a CSA member looking to work off some of your 8 hours or if you just want to come out and get dirty this would be an especially helpful week to do so. Plus you'll take home all the radishes you can carry. I have them coming out of my ears! If my CSA members didn't know how to prepare Kohlrabi last week, they will know by the end of this week. I have plenty of them, they are delicious and this week everybody gets one or three. For those of you who are not familiar with this tasty vegetable you can click here to learn more. It a brother of broccoli with a plump, edible stem that tastes to me like a cross between broccoli and apples with a hint of spice. The leaves are edible too but more bitter than collards so they must be cooked well. Recipes below. On Monday we should find out who will be on the brand new Food Policy Council of Cabarrus County. Appointments will be part of the Cabarrus County Board of Commissioners Regular Meeting on Monday, May 17th, 2010 at 6:30 PM in the Governmental Center in Downtown Concord. Check out the county's video on the Food Policy Council. You can also still apply up until Monday afternoon. 1 bunch of garlic scapes! It's going to be a good week. Remember volunteers at the farm often leave with food. This week they surely will and not just radishes! Many thanks to Stacey, David, Ethan and Erin for helping harvest last Monday. I also want to thank Joyce and Cori who ran the better part of the pickup last Tuesday. It worked out really well. If any of you are interested in running all or part of a pickup as part of your required work hours let me know. And if any of you non-CSA members want to come join us and check out what we do on Tuesdays at our pickup send me an email or just drop by. Also thanks to David for building the first of several needed chicken nesting boxes. He and I will be building additional chicken tractors hopefully later this week. What, you don't know what a chicken tractor is? Check this out. In this recipe, kohlrabi is prepared "Greek-style", with fresh pears, dates and Feta cheese. It makes a great salad and works best with young kohlrabi, which are still smaller than 8cm and are less woody than the larger variety. Peel the kohlrabi and chop into dice, about 1cm big. Put the kohlrabi on a baking tray and drizzle with the olive oil. Bake at 180 C for 20 minutes, or until softened. Slice the pears in half and cut away the cores. Cut the pears into slices. Put the salad on a large serving plate and arrange the pear slices and kohl rabi on top. Crumble the Feta on top of this. Make the dressing: Chop the dates and mix with the balsamic vinegar and honey. This is a mild yet flavorful dish, and it cooks up quickly. In a large soup pot heat oil and sauté onion and garlic 3 to 4 minutes. Add spices and stir-fry 30 seconds. Add kohlrabi bulbs and potatoes and stir briefly. Add tomatoes, water, salt and sugar; bring to a boil and then simmer until vegetables are crisp-tender, about 15 minutes. Add kohlrabi leaves and simmer 8 to 10 minutes more. Stir in peas and cook 1 to 2 minutes more. Serve over rice. Adapted from “Simply in Season, A World Community Cookbook,” Mary Beth Lind and Cathleen Hockman-Wert, Herald Press, 2005. Kohlrabi - 2 cups, cut into bite sized pieces. Red chili powder - 1/4 teaspoon. Salt - 1/2 tsp according to taste. Bengal gram dal - 1 tbsp, soaked for 30 minutes. Freshly grated coconut(optional) - 1 tbsp. Sugar/ jaggery - 1/2 tsp. Turmeric powder(optional) - 1 tbsp. Heat oil in a pan. Add mustard and cumin seed. When they stop spluttering, add Asafoetida (hing)and turmeric powder. Add chopped kohlrabi, soaked Bengal gram dal. Mix and Cover. Cook for 5 minutes. Add chili powder, curry leaves, salt, sugar. Stir and continue cooking. Add a little water if necessary. Cover and cook on low flame till kohlrabi is done. Add coconut and chopped Coriander leaves(cilantro). Mix well. Serve it with chapati or Steamed rice. Tip: Do not add too much water to this recipe. 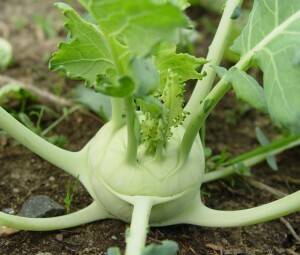 Kohlrabi contains enough water. When you add sugar and salt, this water will be released. If necessary, add one or two spoonfuls of water. 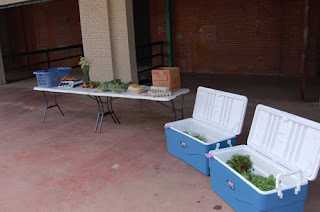 Last week was the Phoenix Farms Spring CSA Pickup Number One. We did it buffet style. Instead of containers prepared ahead of time, CSA members weighed their own sweet potatoes on the spot. Then they grabbed a loaf of bread, a dozen eggs and were direct as to which veggies to take and which to choose from. I thought it went very smoothly. The idea is to make sure the CSA members are capable of running the pickup without any specific individual being there. This strategy will prove useful today as I cannot be at the pickup location at 4pm when it starts. However the pickup will still run today from 4pm to 6pm. Two CSA members will set up at 3:45. Other members will arrive and pick up their food with a little help from the volunteers. No Aaron needed. The cooler temps have been good for the greens. As I mentioned in the subject line the collards, which started out as really small transplants, are finally ready for harvesting. So is the Swiss Chard and the Kohlrabi. The lettuce is holding on while the first two plantings of spinach are mostly done. The greens look great in the field. 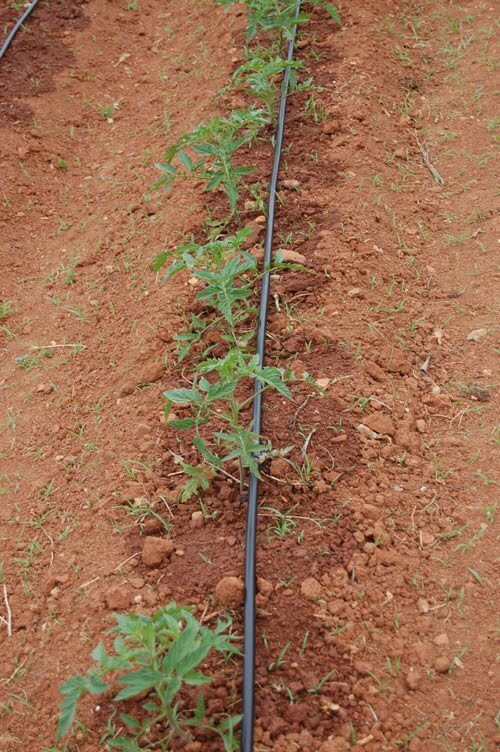 Not much rain though this week so I got the first of the drip irrigation lines installed. They are running right now actually. Typically I tend to underestimate the amount of effort needed for tasks that are new to me so I was pleasantly surprised to find this one easier than I thought it would be. "help to identify and strengthen the connections between economic development, food, health, natural resource protection and the agricultural community." There is a call for citizens who would like to serve on the council. If you're interested you can get more information and an application by clicking this link. 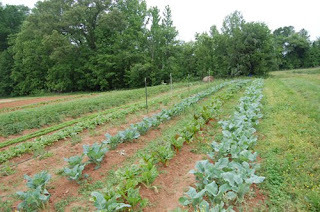 The Elma C. Lomax Incubator Farm Park is participating in this year's Junior Charity League Garden Tour in Concord, NC. The tour is this Saturday, May 15th. You can get tickets and more information about the tour by clicking this link. If you've never been to the Incubator Farm this would be a great opportunity to check us out. Marvin's Fresh Farmhouse Restaurant, will be there with great food to eat. To give you an idea of what's in season right now I thought I share the offerings for the CSA for this week. Radishes aren't just for salads. Their peppery bite makes them ideal partner for creamy dips, like this one. Serve this radish dip recipe with crackers, chips or fresh raw vegetables. Puree until smooth. Taste and adjust seasonings. Preheat oven to 425 degrees F (220 degrees C). Line a baking sheet with a piece of aluminum foil and lightly grease. Peel the sweet potatoes, and cut into French fry-sized sticks, about 1/3 by 4 inches. Place into a large bowl, and toss with the vegetable oil to coat. Place the Parmesan cheese, garlic salt, paprika, onion powder in a resealable plastic bag, and shake to mix. Place the oiled sweet potatoes into the bag, and shake until evenly coated with the spices. Spread out onto the prepared baking sheet. Bake in preheated oven until the outside is crispy, and the inside is tender, about 20 minutes. Serve immediately. Heat olive oil in a large stockpot or casserole over medium-high heat until hot, 2 to 3 minutes. Add leeks and garlic; stir to coat. Cook, stirring, until leeks are softened but not brown, about 3 minutes. Add red-pepper flakes, smoked turkey wing, and greens; if necessary add greens in several batches. Add wine; cover. Steam greens, turning occasionally, 8 to 10 minutes. Uncover, add salt and pepper, and cook, tossing occasionally, 3 minutes more. Discard turkey and garlic, and serve. Heat oil. Add garlic and red pepper and cook until garlic is golden, 1 minute. I doubt I'm the only one having a hard time believing we're already in the month of May. The first four months of this year seem to have flown by. And yet it feels like July already- hot weather and thunderstorms. The mizuna and the first planting of arugula have both bolted, mostly before I even got a crop to market. The upside is that the warm weather stuff- the tomatoes, the peppers, beans and cucumber are starting to take off. There is an exception; two actually. The squash and zucchini I planted 2 weeks ago were up and putting on true leaves last Friday. When I checked them on Sunday the entire crop had been destroyed by Cucumber Beetles. I replanted on Monday. I'll have to spray Spinosad, an organically approved pesticide, on a regular basis and I'll have squash and zucchini two weeks later than I might have. As someone I know says, that's farming. All the drip irrigation equipment has arrived. I hope to have time later this week to get it installed. I'm looking forward to being able to do a much better job of watering in much less time than it takes to drag hoses all over the fields and spray from above. Uses less water too. They'll also get a dozen eggs and a loaf of Swiss bread baked yesterday. Yum. You might have noticed Lambs Quarter in the list above. Some of you who know this plant might be scratching your head saying, "Why is he feeding them weeds?" And it's true that in this part of the world it is considered a weed. Then again, I had a professor at NC State who said, "A weed is a plant named by an unhappy person." I will be at the Piedmont Farmers Market at Winecoff School Road this Saturday from 8am until noon. I'm in a new location down in the grass so please come see me. I will have most of what I mentioned in the CSA list above. I'm hoping this week to have NC shrimp too. No eggs though. I want to thank Stacey, David, Ethan and Erin for helping to harvest yesterday. With their help we were able to get it done before the rain. Then we washed everything in the barn while it poured. I have pictures over at the blog. Welcome, and grab your apron. "Pipi", my 10 year old daughter and I will be cooking with fresh, local, organic vegetables that we have either harvested from our own backyard, or from an incubator farm where we volunteer. We hope you will enjoy the recipes we'll be making, and posting from the earth to the table. Check her out at Garden Gal Cooks. Those of you who think you can't cook and eat more seasonally prepare to be shown up by a 10 year old. 1. Heat the oil in a large skillet or Dutch over. Add the onion and cook over medium high heat, stirring occasionally. Once the onion starts to soften a bit, after 3 or 4 minutes, add the slivered garlic. Cook for a minute more, then add the greens and any herbs. Season with ½ teaspoon salt. 2. As the greens cook down, turn them in the pan to bring the ones on top closer to the heat. Once they've all collapsed, add ½ cup water or bean broth, lower the heat and cook. Partially covered, until tender. Depending on the greens as long as 20. Just make sure there is some liquid in the pan for sauce. When the greens are done, add the beans, heat them through, then taste for salt and season with pepper. 3. Toast the bread and rub it with the halved garlic. Arrange on plates and spoon on the greens and beans. Drizzle with olive oil. Garnish with the cheese, if using, and serve. 1. Preheat the oven to 500°. Trim the radishes and wash the greens; pat dry. 2. In a large ovenproof skillet, heat the oil until shimmering. Add the radishes, season with salt and pepper and cook over high heat, stirring occasionally, until lightly browned in spots, about 2 minutes. Transfer the skillet to the oven and roast the radishes for 15 minutes, until crisp-tender. 3. Return the skillet to the burner and stir in the butter to coat the radishes. Add the radish greens and cook over moderate heat until they are wilted, about 2 minutes. Add the lemon juice and season with salt. Serve the radishes right away. Lambs Quarter recipes. Yes your cooking with weeds. You can also eat Lambs Quarters raw in salads, or sauté it like you would spinach. 1.) The Lambsquarters greens are tossed together with the feta cheese. 2.) The garlic, lemon juice, olive oil, salt and pepper are mixed together in a separate bowl. 3.) Add dressing just before serving. Remember: Make only what you will consume at an instance, for these salad easily spoils and can’t be stored for long times. This is exactly what you need to get more energetic and healthy. This salad has a wonderful taste and has loads of vitamins. Remember: Fancy Greek marinated olives are the best for this recipe. However canned olives will also suffice. Try to use young, tender Lambsquarters leaves from plants about 1 foot tall or so. Dressing ingredients are blended together in a blender until smooth. The salad is then coated before serving. Lambsquarters Lasagna, Lambsquarters Quiche and Lambsquarters Antipasto. Preparing this Lasagna needs lots of time, but the result is amazing. One will realize not even one second has gone to waste. The main ingredients are 12 lasagna noodles and 1 lb mozzarella cheese that has been shredded. 1.) The Lasagna noodles are boiled in boiling water until they become soft. The water is then drained and the noodles cooled under cold water. 2.) Then the Lambsquarters leaves are blanched for 5 minutes in boiling water, and the water subsequently drained. 3.) Shred the Mozzarella cheese and set aside. 5.) Make Lambsquarters filling. This is made by first melting butter at medium heat in a large heavy- bottomed pan. Sauté the onions briefly in this butter, then add flour and stir until smooth. Add milk and salt and also stir until smooth. Finally add the Lambsquarters. Cook at medium heat, stirring constantly until nice and thick. 6.) ½ cup Lambsquarters filling, is placed in the bottom of a deep 9x 13 pan, and spread evenly. 7.) Then put 3 lasagna noodles side by side in bottom of pan. 8.) Spread 1/3 ricotta filling, then 1/3 Lambsquarters filling, then 1/3 mozzarella cheese. 9.) Spread again the layers twice more, saving ½ cup mozzarella and ½ cup Lambsquarters filling for the top. 10.) Finally spread the filling and sprinkle cheese over the top of the noodles. Cover with foil and bake at 350 degrees for 45 minutes. Wild Amaranth, Nettles or Lambsquarters are ideal for this recipe. Preparation here involves first making the pie crust then filling it. It’s more advisable to prepare your pie crust in a food processor as it’s quick and easy and makes a fine flaky crust. 1.) The flour, butter and salt are placed in a food processor. 2.) The food processor is turned medium to high, until a coarse crumby mixture is formed. 3.) To this crumby mixture, 1 Tbsp of cold water is added at a time and blended until it forms into a lump. Take care not to add too much water. 4.) Roll out as for any pie crust. Here use the ingredients stated far above for filling. 1.) The pie shell from above processes is pre- baked in an oven at 450 degrees for 5- 10 minutes, until lightly browned. 2.) Lambsquarters and onion are sauted in butter until tender. Be careful not to overcook. 3.) Flour and salt are added to the sauté and mixed together. 4.) Whip together eggs and milk in a separate bowl or in a blender. 5.) 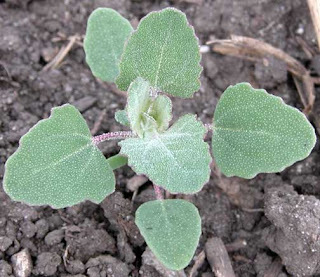 Add this egg mixture to Lambsquarters. 6.) The grated cheese is spread over the bottom of the pie crust. 7.) Pour filling over the top of the cheese. 8.) Finally bake at 375 degrees for 45 minutes. Remove from oven and let set for a few minutes before cutting. This is a delicious treat that will cost you some extra bucks. But these extra expenses are compensated by the satisfaction obtained from the Antipasto. It’s guaranteed, there will be no leftovers. 1.) Toss everything together in a large bowl. Here we have the Fresh herb pasta and Lambsquarters hamburger helper. 2.) Meanwhile be sautéing the green onions, grate carrots, crumble cheese and chop olives. 3.) Blend the Lambsquarters, olive oil, garlic, salt and pepper in a food processor until it forms a smooth paste. 4.) All above ingredients are then mixed together with cooked noodles. Thoroughly coating the noodles with the Lambsquarters. Serve warm with a lovely green salad and garlic bread. It's quite likely none of you would ever have ridden in my car prior to receiving this email. It's true that it is usually jammed full of stuff- tools, tarps, 50lb sacks of seed potatoes. But after receiving this email I feel certain almost all of you would turn down my offer of a ride even if I made room for you by moving the backpack sprayer into the trunk. Last fall I trimmed trees and shrubs around my house. 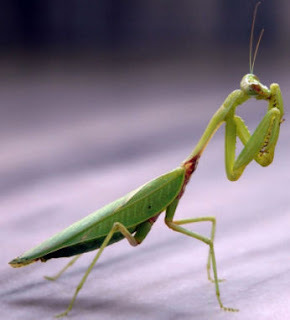 In doing so I cut off many branches that had on them Praying Mantis egg casings. Not wanting to waste them I stored them outside and moved many of them to the incubator farm to try and raise the number of Praying Mantis eating bad bugs at the farm. Apparently one of those egg casings ended up under my front seat and earlier this week it hatched. I got into my car to return home only to find several hundred small Praying Mantises scouring my car for something to eat. I knew they wouldn't bite me but still, it was kinda creepy. I drove straight home and cleaned out the car. Many of them I removed and put out in the yard. Some of them got sucked out when I vacuumed. I thought the car was clean- problem solved, but yesterday I saw one still trying to make my car's interior pest free. I need a truck. 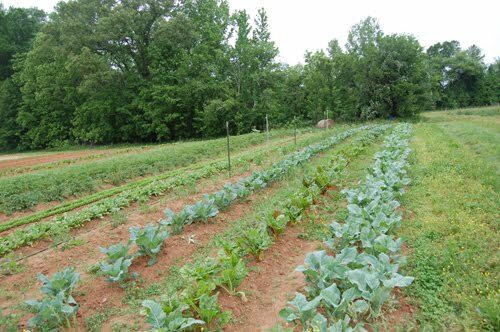 The temperatures lately have been just right for growing spring vegetables. It's been a bit dry but I've fixed that for all of us. On Saturday I ran sprinklers at the farm, not knowing whether or not it would actually rain. The result of my effort is that it did in fact rain (you're welcome) and now all the plants are happy again. With warm and sunny weather slated for early this week it will be fun to watch everything take off. The Piedmont Farmers Market started it's new season this past Saturday. I did not attend as a vendor. I will not be there next Saturday but I will begin attending the Saturday Winecoff market on May 8th. I will have spring vegetables and SEAFOOD, probably just shrimp and grouper the first week. This is the start of a potential partnership with Flying Fish Seafood in Davidson. They make a weekly run to the coast of the Carolinas to bring back whatever is in season. I'm not sure how well it will sell at the market (it's more expensive than crap seafood from Thailand) but I'm going to give it a try. By the way I'll be down in the lawn area not under the main building (long story) so come and see me. A big thanks to Shelley and Stacey and Erin and Ethan for coming out to the farm last week to help. It was a very busy week and their help meant more plants in the ground and more seeds sown before the rain. I haven't updated the google calender yet but just so you know we planted: straight neck and patty pan squash, zucchini, pole beans, bush beans, cucumbers, luffa sponge, spinach (one more round) arugula, radishes, swiss chard and onions. 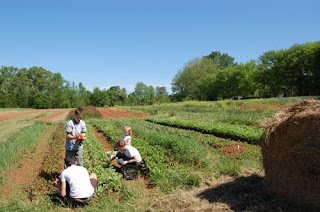 We also transplanted tomatoes, peppers and a few early eggplants into the field. Yum. It looks like we will have enough people to offer a downtown Concord CSA pickup for the Know Your Farms mulit-farm CSA. In all likelihood it will happen on Tuesday evenings at The Old Creamery in coordination with my Phoenix Farms CSA pickup. If you've been on the fence about joining the Know Your Farms CSA send me an email and we'll talk. Cut off the thick stems of the spinach and discard. Clean the spinach by filling up your sink with water and soaking the spinach to loosen any sand or dirt. Drain the spinach and then repeat soaking and draining. Put the spinach in a salad spinner to remove any excess moisture. Heat 2 Tbsp olive oil in a large skillet on medium high heat. Add the garlic and saute for about 1 minute, until the garlic is just beginning to brown. Add the spinach to the pan, packing it down a bit if you need to with your hand. Use a couple spatulas to lift the spinach and turn it over in the pan so that you coat more of it with the olive oil and garlic. Do this a couple of times. Cover the pan and cook for 1 minute. Uncover and turn the spinach over again. Cover the pan and cook for an additional minute. After 2 minutes of covered cooking the spinach should be completely wilted. Remove from heat. Drain any excess moisture from the pan. Add a little more olive oil, sprinkle with salt to taste. Serve immediately. This guy greeted me one night last week when I went to put the chickens up. He went home hungry. 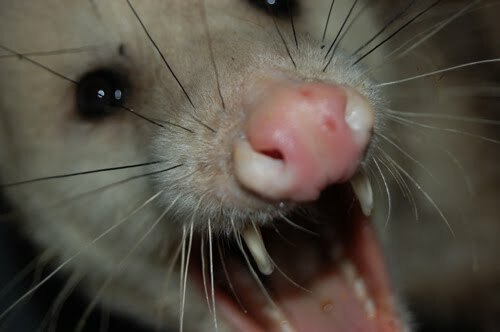 I shoved my camera in his face which provoked this furious picture but really he wasn't hard to dispatch. For some reason planting potatoes always makes me more anxious than directly sowing seeds or transplanting seedlings. Sometimes when I directly sow seeds they don't sprout. Maybe it was too early and the soil wasn't warm enough or maybe I planted them too deeply or maybe birds ate them- there are lots of reasons for failure but then I just sow more seeds. They are, relatively speaking, rather cheap. When I transplant seedlings I can see the plant, already growing, the moment after I place it out into the field. Again failure is still a possibility. The young transplants might not get water soon enough. The weather might toss me a curve ball but if the transplants die I can see that happen and I can put something else in that place in the field. Potatoes though, for me potatoes are different. 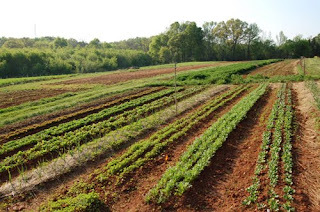 There are very few sources of seed potatoes grown in NC. The seed potatoes are coming from far away places like Maine or Wyoming. They are heavy and so this transportation isn't cheap. Seed potatoes aren't terrible expensive, even certified organic stock, but seed potatoes- especially those of uncommon varieties- aren't something you pick up at The Home Depot. Then there is the work of cutting them. Each eye on the potatoes, given a chance, will turn into it's own plant and produce more potatoes so smart growers cut potatoes into pieces with one or two eyes each. Cutting up a 50 lbs bag of potatoes takes quite a long time. Then there is the preparation of the bed where they will be planted. You can toss a seed potatoes almost anywhere and it will produce something but if you really want a good return on your investment then you need to properly fertilize your bed. All this work and then the seed potatoes go into the ground and then the waiting begins. Will they come up? And, in the last few days it is apparent that yes, the potatoes I planted several weeks ago are in fact coming up. It looks like I will in fact have scalloped potatoes again this year. A basic scalloped potatoes recipe baked in the oven. In a buttered 2-quart baking dish, place a layer of about 1/3 of the potatoes. In a cup or small bowl, combine flour with salt and pepper. Sprinkle about half of the flour mixture over the potatoes; repeat with another layer of potatoes and the flour mixture and top with remaining potato slices. Dot with butter then pour hot milk over potatoes. Cover and bake at 375° for 45 minutes. Uncover; sprinkle cheese over the top. Return to the oven and bake, uncovered, for an additional 15 minutes, or until scalloped potatoes are tender and cheese has melted. Scalloped potatoes serves 6 to 8. This past week saw me weeding half of what has been planted with the rest of it to be done on Friday. You're welcome to come out if you'd like. We'll also be thinning the lettuce and the mizuna and the spinach so you won't go home empty handed. I applied compost tea and fish emulsion. I mulched the snap peas and watered them with a soaker hose. I've never been good at peas. Here's to hoping this year is different. I've already had to water with overhead irrigation twice because of the heat. Despite the fact that the high temperatures have mercifully receded I know I will have to irrigated again before the season is over. 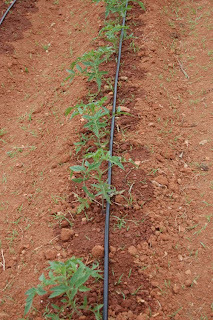 When considering my options, drip irrigation seemed kind of expensive until I really thought about the alternative of spraying overhead with sprinkler heads. Here are the problems with doing it that way. 1. It takes a lot of time. I can only water a certain amount of area at a time because of water pressure so I have to water one area and then turn that part off and move on to the next. It means constant management of the operation. 2. It takes a lot of hose. I find myself dragging hose from one part of the field to another. I have to disconnect hose from one sprinkler head and hook it p to another; that or buy more hose and splitter connections. 3. It is wasteful. Depending on a few factors like ambient air temperature, a significant portion of the water that comes out of the sprinkler never makes it into the soil to hydrate the plants. A lot of it evaporates. This wastes water. 4. It can encourage disease. 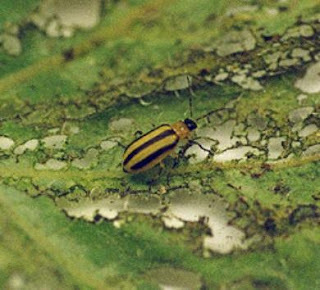 Overhead watering, in certain conditions, can promote the growth of disease. 5. It can wash off pesticides. I only use certified organic pesticides like soap but those too are washed off by overhead irrigation, which means reapplying them which means more time and money. So this is my long winded way of saying that I have made the decision to drip irrigate everything this year. I've already purchased the bulk of the materials and after a few more items arrive in the mail I'll be installing the system. I think in the long run it will be worth it. Don't forget about the 5th annual Spring Herb and Plant Festival this weekend in Concord/Kannapolis. See you there.